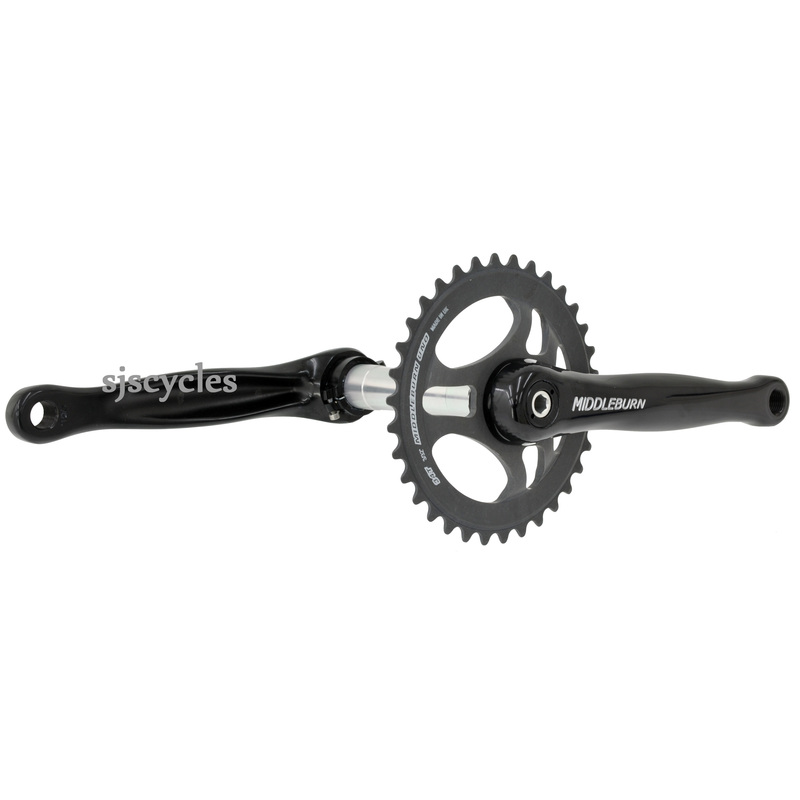 THE RS8 X-Type Uno is a versatile single ring chain set which can be used for single speed use or as a single ring on a geared bike. The RS8 X-Type arms are forged 7075T6 alloy for increased strength. The Uno spider is the spider & ring is one piece; this saves a lot of weight & is maintenance free. The Uno is machined from a solid billet that starts out at 400g & ends up weighing just 83g. The Uno's are then finished in with Middleburn's HardCoat finish, this finish in tests lasts 4 times longer than standard anodising & the surface is 10 times more slippery. The RS8 X-Type is designed to work with bottom brackets with a 24mm ID this is the size of Shimano & many other after market companies like Hope & Chris King.